A growing number of women are climbing tall aerial ladders and rescuing Rockland County residents from smoky rooms, as members of local volunteer fire companies. People who call 911 are not concerned about the gender of the volunteer firefighter who responds and rescues those who are plagued by a fire emergency. 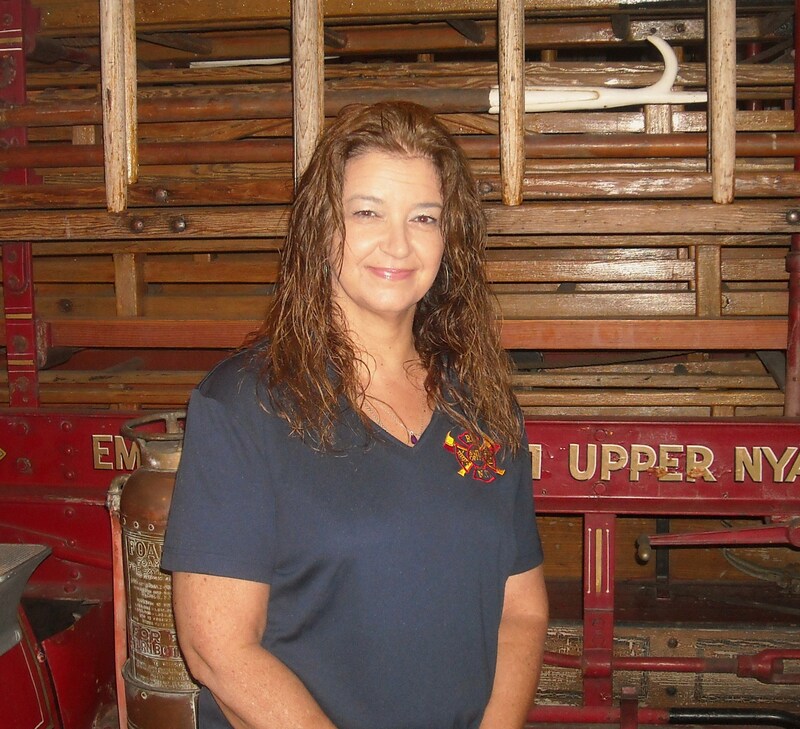 Lisa Castaldo has been a ‘super-volunteer’ for over 20 years and has served as an Interior Firefighter, Fire Safety Officer, Vice-President of the RC Fire Police Association, member of the RC Fire Advisory Board, Vice-Chairperson of the RC Fire Services Museum Board and Fire Warden. “As a Fire Safety Officer (FSO), I have a big set of eyes and ears to look at the ‘big picture’ of a fire. I am trained in building construction and can read smoke or fire behavior and can determine the stage of the fire. As Fire Safety Officer (FSO) I am responsible for ensuring and maintaining fire safety of a facility. With a solid knowledge of up-to-date safety codes and regulations, I can implement preventative measures and maintain building fire safety standards” said Castaldo. – Raise awareness to other staff about fire hazards existing in the workplace. – To instruct workers in how to respond in an emergency. – To lead fire drills and real evacuation procedures, including escape routes and exits. – To assist all people, including those with special needs and/or in wheelchairs. – To close the doors to help isolate the fire. – To guide everyone to the assembly area and assist in checking that everyone has arrived safely. The RC Fire Services Museum is located on the lower floor of the Fire Training Center in Pomona, where space has been included for classrooms and a display of antiques and apparatus. Valuable memorabilia including donated badges, yearbooks, old pictures, belts and equipment relating to the local volunteer firefighters, ladies auxiliaries and other Firemanic Organizations of Rockland County have been collected and accurately preserved. For additional information about becoming a volunteer firefighter, call The Rockland County Fire Training Center at 845-364-8808.